J-Flex – for rubber mouldings, including Silicone, FKM, EPDM and much more. 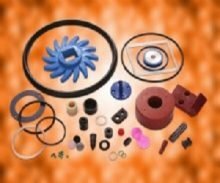 Whatever your requirements, industrial rubber specialist J-Flex can help with a vast array of rubber mouldings. We make our own mould tools in-house to exacting standards. By completing the mould production in-house we can be certain of the quality of the mould and can also maintain a lower price. We guarantee you top quality mouldings every time using our ISO9001 batch traceability procedures. We sample new moulds to your complete satisfaction and approval before we commence bulk supply. Our polymer range is vast. 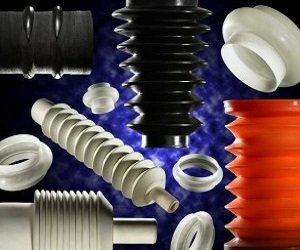 We can offer Natural, Neoprene, Nitrile, E.P.D.M., Butyl, Hypalon®, HNBR, CXNBR, Silicone, Fluorosilicone, Viton™, Fluoroelastomers, Aflas® and Perfluoroelastomer. 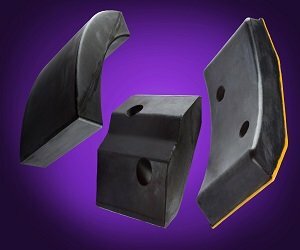 We mould by compression, transfer and injection moulding techniques. Need more information? In the Downloads section, you’ll find our latest brochures and flyers. Hypalon® is Registered Trademark of DuPont Performance Elastomer.